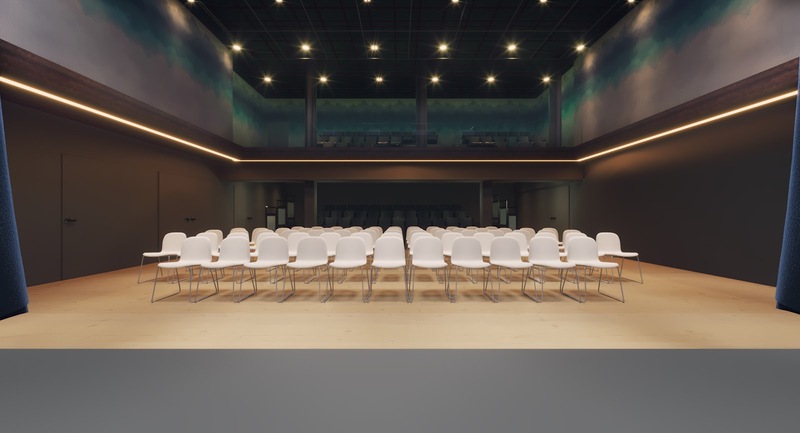 "The Paramount has already made a major impact on the city of Aurora," Aurora Mayor Richard Irvin said, in helping announce the plans during a press conference on Jan. 25. "For example, since starting its Broadway series in 2011, the number of patrons has grown from 52,000 to more than 320,000 [a year]. The addition of a new school of performing arts will provide new opportunities for Aurora's youth and excitement to our city." 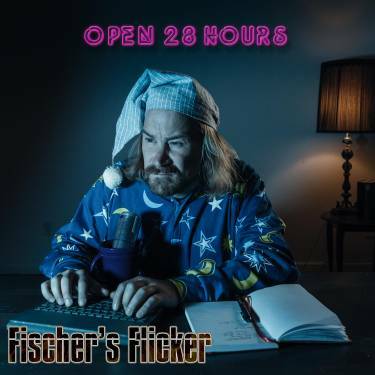 On its latest album, "Open 28 Hours," Chicago band Fischer's Flicker once again paints a rich musical tapestry as the album veers from funk to prog to pop and everything in between. 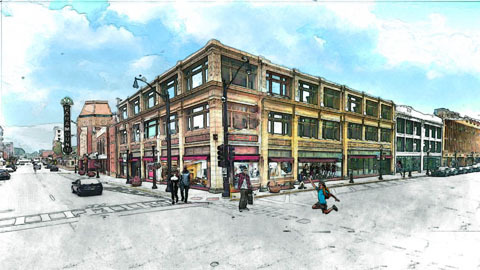 The band will perform Jan. 18 at Emporium Arcade Bar Chicago, 1366 N. Milwaukee Ave., Chicago. Tautologic and Wes John Cichosz also are on the bill, and the music starts at 8 p.m. Admission is free. I had the chance to talk to frontman Scott Fischer about his goals for the new album. Q – Great talking to you. "Open 28 Hours" is your seventh album. What were your goals for the album and do you think you accomplished them? Hey Eric - thanks for having me. I suppose the biggest ambition of this album was “giving birth” to the 10-minute track "Mother of a Ship." I’d say that it was probably my most ambitious recording to date. Granted, there have been a few other tracks over the years that have pushed further as far as duration goes (“Alone on the Moon” was about 18 minutes itself), but this one’s production and arrangement was beyond over-the-top. Then it becomes a matter of taking the right things away as opposed to making sure there’s enough there to work with. As far as the rest of the album went goal wise, I don’t really think there were particular goals in mind other than continuing to maintain my high-standard in execution and production value as well as writing in styles that don’t confine me to one particular genre. I definitely accomplished that this time around as well with heavy hitters like “3 6 9” (and “At Least The Boy Dreams” which was lopped off of the official release and included as a bonus track on the Deluxe Edition of the album), all the way to the lighter extreme of songs like “Zen." Q – The album kicks off with some '70s style funk on the song "The In-Betweener." Musically, how did you want the album to stand out from your other albums? Was it hard to convince the other members of the band to dress in drag for the video for the song? Musically, I wasn’t really going for anything specific – just writing in different genres. “The In-Betweener” is definitely a “poppier” feel than I typically go for but I think it works great as an opener (and an introductory single). Funny about convincing the other members to dress in drag….. those that I thought would have no problem with it were probably the most reserved while those that I thought would “put up the biggest fight” embraced it in a way that was a bit too comfortable – ha! Overall, everyone had a lot of fun that night and I think it helped a lot of entertainment to the video. Q – I understand the idea for the album's title came from an episode of "Futurama." Yup! The album was going to be called “Mother of a Ship” all along but the actual spaceship that I’ve been building out for the coming video wasn’t quite done in time for the album release, so I was a bit torn on how to handle it. A few friends had recommended that I go back and give “Futurama” another try as the series never really pulled me in and I got a big kick out of a tiny moment where they showed a 7-11 convenient store in the future and it boasted that it was “Open 28 Hours." I thought that did a great job of speaking towards my work ethic with the band. Anyone who knows me would say that I have a tendency to put way too much time into my projects and often wonder how I squeeze it all in. The title seemed to tie it up nicely and the idea for the cover sort of instantly fell into place to “seal the deal." Q – I heard that your fellow band members are longtime friends. Do you think that type of relationship has helped the music? Yes, we actually just went through the process of “saying goodbye” to our rehearsal space (dubbed ‘The Cooler’) that we had been rehearsing in off-and-on since high school days. What a weird experience! While I do sometimes have a concern that I get a little too comfy with the guys, our lineup has still changed a bit over the years. However, the majority of the time, the “new member” is typically someone we’ve been friends with forever in our musician circle of friends and it usually helps us to get back on track at a quicker pace that way. Not to mention the “in” jokes all still work out! Q – What made you want to cover The Kinks' song "No More Looking Back"? What did you try to do with the song? Great question. I always feel that there are two different methods of covering others’ songs: either make it completely your own or go for a note-for-note mimicry. I’ve certainly tried both approaches but lately, these note-for-note mimicries tend to work well for me. I usually pick the “unsung hero” songs that, to me, are the highlights of someone else’s career but never got the attention they deserved. On the last album, it was Alice Cooper’s “Halo of Flies." This time around, it happened to be “No More Looking Back." In the past, we tend to set up recording sessions around four-song increments and, when going that route, we’d often throw in a cover or two since we’re all there and setup. I had been holding on to the shell of this tracking session for quite a while (since sessions that led to the "Fornever and Never" album), and it seemed to work really nicely with the sequencing of this album. The song has always met so much to me in my personal life. I just love that internal conflict. I feel that’s something that nearly everyone can relate to – and certainly something that resonates with me! Q – You also are a contributor to the Frank Zappa podcast, Zappacast. What kind of impact did Frank Zappa have on your music and your approach to music? Great question! Zappa is such an enigma to the world. I hate the overuse of the term, but he was absolutely a freakin’ GENIUS! He is someone I aspire to in many ways. His work ethic was unprecedented so that’s definitely my largest takeaway! I often feel that my writing isn’t very much like him though, so it’s weird when he often comes up in comparison. However, on this album, I would definitely say that you can hear Zappa elements in the track “Mother of a Ship” for sure. But Frank is certainly not the only source of inspiration on that piece either! I also love his whole AAAFNRAA philosophy (stands for "Anything Anytime Anywhere for No Reason At All”). As a matter of fact, that’s pretty much the cause of the track “Farther to the Sun” that acts as a sort of odd prelude to “Mother of a Ship." I felt like the more serious pieces on the album could use a sort of “palette cleanser” from diving into the insanity in “Mother” so I came up with that “Farther to the Sun” one day with not much to work with in advance. I’m not sure if it’s a “sign of the times” or my age but I don’t feel that I “fit into it” much at all. Most of the bands that I have a tendency to share bills with tend to be out of mutual circles of friends than shared musical interests. It works out nice that way though because the event offers a little bit of something for everyone. 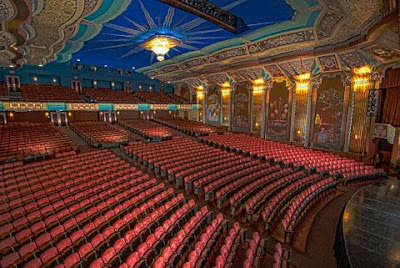 However, I’ve felt that a lot of venues have changed in the scene and it feels like, year by year, the emphasis on draw over talent, ingenuity, creativity, etc., seems to take hold. I still love the live aspect though and 2017 has sort of shot us in the foot there for a multitude of reasons. I’m looking forward to changing that this new year and will hopefully have a lot more live shows to offer. Hmm….. yes and no! Yes, in that I constantly have a million ideas and they don’t always fit into the Fischer’s Flicker umbrella or, for that matter, whatever current project we are undergoing. However, I’d have to answer “no”, in that I typically pursue any of those dream projects or collaborations.